If you already own a fitness tracker, you’ll understand why this tech is great for pets. The PetBit is a waterproof tracking device that can be attached to your dog’s collar and is equipped with GPS and Narrowband IoT, allowing you to locate your doggo in real-time. The PetBit app also includes helpful data like calories burned, distance and walking time. Lost your pet? The device has a QR code which anyone can scan to get the owner's contact details. For only US$30, PetBit packs in tons of features and peace of mind for a small price. The future of kitty litter is here with this ultra-futuristic litter box that is also ultra-functional. The Pet Care Monitor by Sharp traces your cat’s weight, urine volume and frequency, and time spent on the toilet then uses AI to crunch the data. For a monthly fee of less than US$3, receive alerts on any abnormalities in your kitty's toilet habits. Starting July 31, the Pet Care Monitor will be available for purchase for US$226. This award-winning fancy water fountain encourages healthier hydration by keeping water fresh and clean. The filtered water fountain only needs to be refilled once or twice a week rather than daily, and can be yours for US$399. The US$199 Furbo has a live view camera and two-way audio so that you can see and hear your pet, as well as communicate with them through a small screen on the camera. You can also record videos and take photos straight from the app so you'll never miss an adorable moment. 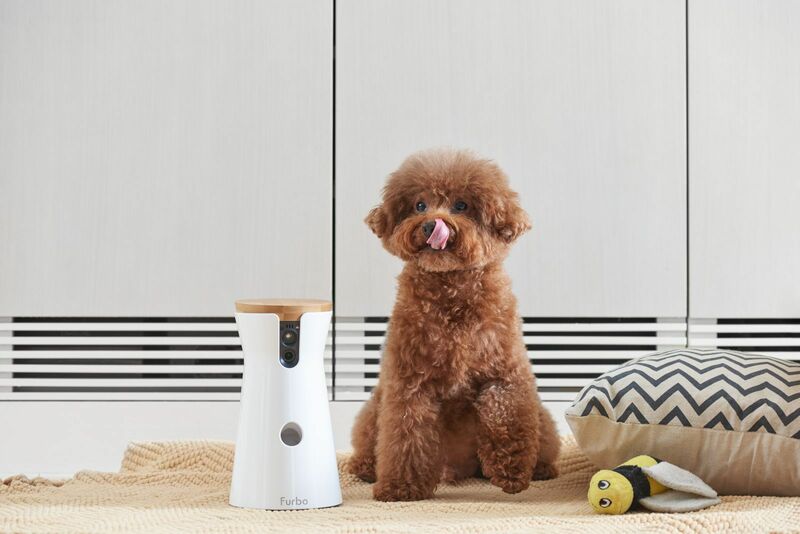 Dog owners can receive real-time alerts if Furbo hears your dog barking. Toss your furry friend some treats through a mechanism built under the camera, so they never feel alone or neglected. Put your kitty up in their own smart, stylish pet home. Cozy is equipped with humidity and temperature sensors to monitor ambient temperature for optimum health and comfort, which you can also control remotely. Its spherical shape provides an embracing sense of security, and doubles up as a chic interior decoration piece. At just US$175, that's a lot of bang for your buck.